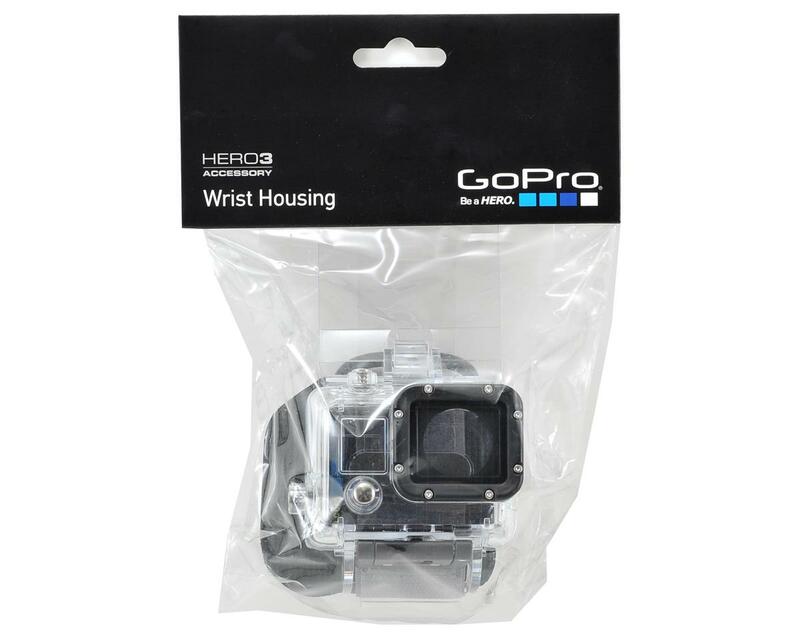 This is the GoPro HERO3 Wrist Housing. 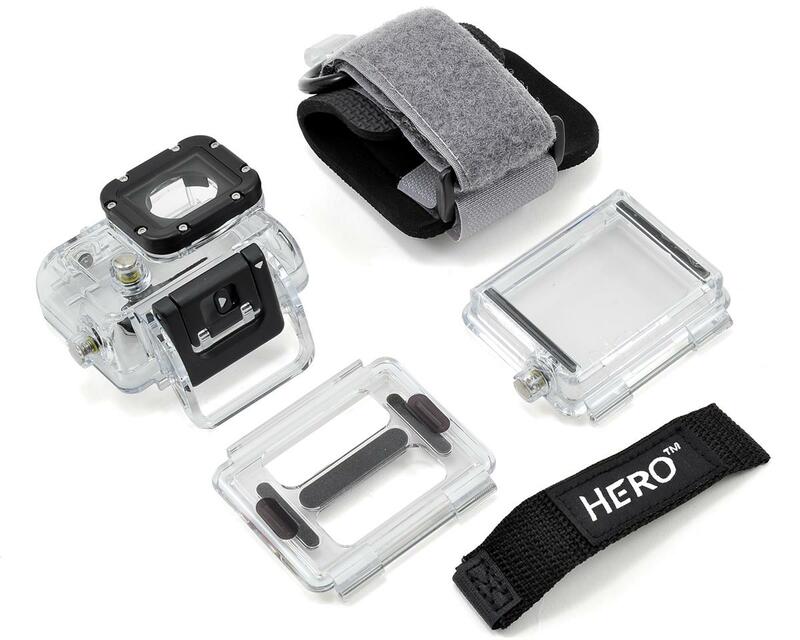 Wear your HERO3 camera like a watch for easy access when capturing footage on the fly. The Wrist Housing secures your HERO3 flat against your wrist, yet lets you quickly pivot the camera upright to shoot photos or video. When not recording, you’ll have full use of both hands—making it perfect for activities like surfing, snorkeling, climbing and skiing. Winter sport-friendly, the Wrist Housing fits over your ski gloves or jacket with the included adapter, plus straps to gear such as kayak paddles and kite surfing kites for a wide range of shooting possibilities. Delivers maximum image sharpness above and below water. Waterproof to a depth of 197’/60m.